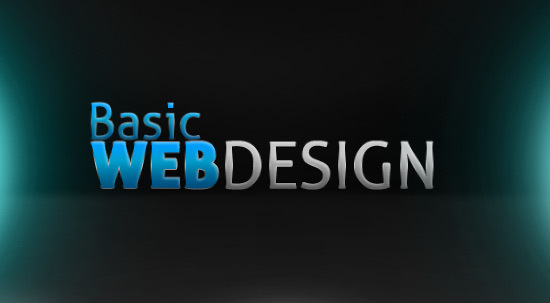 Welcome, today we will teach you the basics of website designing. We are solving following problems in this section. Q:- 1. How to Publish a Webpage on the Online Server? Ans. Just open a notepad and type your content and save it in html format, you can make a webpage. Suppose, I want to write Sham's biography. I have opened the notepad and write Sham' biography. Then I have save this file at sham.html. Now, Go to your hosting service. In hosting service, you have to upload, sham.html. Now, see the page yourwebsite.com/sham.html . After publishing this webpage, whole world will see it. Q:- 2. How to Design a Webpage? Ans. For learning designing, you have to learn html language. This is must for designing a webpage. We have to upload, this design and more modification .css file and .html file and images' .png on our hosting server. Now, just go to its edit and then you can change the text in it. Q:- 3. How to Eye on Traffic? For checking the traffic, we just add the java script code of invisible statcounter. After this, we can keep eye on the traffic of each webpage. Q:- 4. How to Eye on Income? Ans. There may be the different source of income from website. You may college advertising income, you may sell the products. You may collect the online donation. If you are earning from ads, you have to add the java script codes of ads. If you have sell your space to advertisers. You need developer who can tell you the traffic you went to advertiser's site. On this basis, you can get income from advertisers. Q:- 5. How to Eye on Content wise income? Ans. There is direct relation with the website design and content wise income. You can check the different in the selling income, just change the website design. You see the changing in the traffic. On this basis, you can keep your eye on the content wise income. Q:- 6. What is the cost of design the website pagewise? Following is my hosting company rates. Q:- 7. What is the best hosting cost? Just go to the website of hosting. Q:- 8. What are the main language, you need to learn for making wonderful website? Ans. You should know the language for learning the website designing. No Comment to " Website Designing Basics "